This high-quality desk will make a perfect addition to your office, study, etc. Its understated design is contemporary yet timeless. 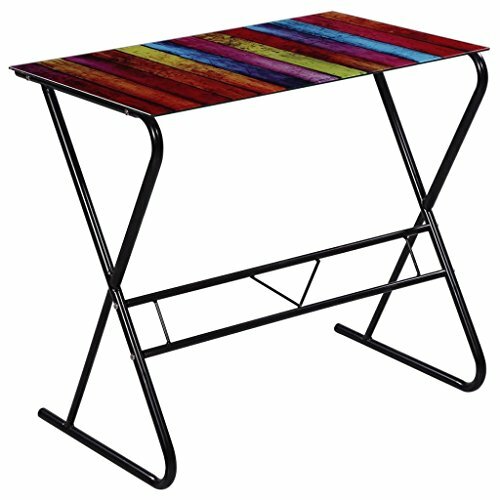 The desktop has a large, decorative print of rainbow, adding a distinctive and stylish touch. The desk is sturdy but lightweight which makes it easy to move around. Thanks to its smooth tempered glass surface, it's easy to clean. The solid iron legs are built to last and give the desk ample stability. Assembly is really easy.